USARK is the pre-eminent voice of the herp community in Washington D.C. and nationwide. We are asking everyone to contribute as anti-herp legislation will affect our entire community. Anti-pet groups (AKA animal rights) are exactly that. They are not “anti-big snake groups.” They are fighting to remove all reptiles, amphibians, and invertebrates (as well as ALL pets) from our lives and the pet community, actually everyone working with or keeping animals for any reason, should be concerned. As an established trade organization, USARK is the best advocacy and representation for this battle. In D.C., we are represented by Kelley Drye, the foremost animal-related law firm in the country. The Reptile Nation may be misunderstood, but we are changing this. We will not back down to animal rights groups seeking to remove our freedoms as Americans and responsible animal owners. 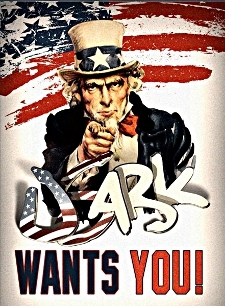 Actions speak louder than words and USARK is committed to this fight. We greatly appreciate your support of the herp community. Donate below. View the Donor Wall page HERE. 1. Select your donation amount (pre-listed amount or type your own amount). 2. Enter your first name, last name and email (other fields are optional). NOTE: Supplying email does not add you to any list. 4. Select recurring or one-time donation. 5. Answer the anti-spam question. 7. You will be redirected to your PayPal account.